Where is my Nebraska State Tax Refund? Click here. The regular deadline to file a Nebraska state income tax return is April 15. Nebraska State Tax Forms that Can Be efiled. Form/Schedule Description Can I efile this form? None Nebraska does not have a separate state tax withholding form. The withholding allowances are the same number as those on a W-4 federal form. A Nebraska taxpayer who needs more time to file a NE income tax return and/or needs to make a tax payment must file a Form 4868N, Nebraska Application for Automatic Extension of Time, to gain an automatic 6-month extension. If the NE return was efiled through a paid tax preparer, then the requirement to file this form is waived. Married couples who are filing separately and both want an extension of time to file NE returns must complete separate NE tax extensions. The Nebraska Department of Revenue will not grant blanket extensions. Attach an explanation that you received an automatic federal extension electronically. In addition, include your federal confirmation number. You also do not need to file Form 4868N if you are expecting a NE state tax refund. An extension of time to file your NE state return does not extend the time to pay any taxes owed. Therefore, interest is due from the original tax return deadline to the date the tax is paid. A tentative tax payment will stop interest from accruing on the paid amount. This amount should be claimed as a credit on line 29, estimated payments of Form 1040N, when you file the return. You will be notified if the requested NE extension is denied. All approved extension requests will be granted the automatic six-month filing extension beyond the original tax return deadline. Notification will only be sent when the Department of Revenue does not approve the the extension application. Important Reminder! If you are efiling a Nebraska tax extension, you may need to efile a federal tax extension as well. Amended Nebraska tax returns can only be filed by mail; they cannot be efiled. Learn how to prepare and file a Nebraska state tax amendment. Important Reminder! If you are filing a Nebraska tax amendment, you may need to file a federal tax amendment as well. If you efiled your NE state tax return, wait 2 to 5 days after the Department of Revenue receives your return before checking your refund status. If you filed your return on paper, it can take between 15 days and 3 weeks before information about your return is available. File electronically or early in the tax season to get your Nebraska state tax refund faster. 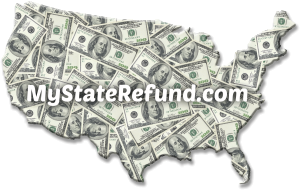 Check your Nebraska tax state refund status online. View a list of all Nebraska State efile Income Tax Return Error Reject Codes. Individual income is taxed across four tax brackets. If adjusted gross income is $173,650 or more ($86,825 if married, filing separately), NE taxpayers should use the state’s Additional Tax Rate Schedule to calculate added tax liability. The state has a 5.5% sales tax rate. Some cities collect a use and city sales tax, with a maximum amount of 1.5%. Dakota County is the only NE county with a sales tax. Its tax rate is 0.5%, making its total county and state sales tax rate 6%. All real property located within the state is taxable unless specifically exempted by statute. Personal property is taxed and valued based on the depreciated cost within reasonable class lives. This is determined by the legislature. The state offers a homestead exemption for personal property owners. They must submit an Application or Certification of Status, Form 458, to their county tax assessor in order to receive the tax exemption. Energy drinks sold in grocery stores are usually subjected to sales tax, but it depends on their labels. If the drink has a “Supplement Facts” label, it is subject to tax as a dietary supplement. Drinks with the “Nutrition Facts” facts label are exempt from the sales tax and are considered food products. All energy drinks sold through a vending machine are subject to tax, regardless of the label on the product. This entry was posted in Nebraska, State Refund Information and tagged 2014, 2015, NE, Nebraska, State Refund. Bookmark the permalink. Follow any comments here with the RSS feed for this post. Both comments and trackbacks are currently closed.